Baker and pastry chef Melody Johansson has always believed in finding the positive in every situation, but seven years after she moved to Denver, she can't deny that she's stuck in a rut. One relationship after another has ended in disaster, and her classical French training is being wasted on her night job in a mediocre chain bakery. Then the charming and handsome private pilot Justin Keller lands on the doorstep of her workplace in a snowstorm, and Melody feels like it's a sign that her luck is finally turning around. Against their better judgment, Melody and Justin find themselves drawn together by their unconventional career choices and shared love of adventure. 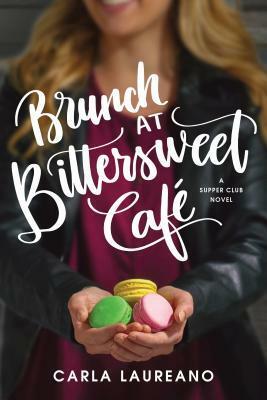 But when an unexpected windfall provides Melody with the chance to open her dream bakery-café in Denver with her best friend, chef Rachel Bishop, she's faced with an impossible choice: stay and put down roots with the people and place she's come to call home . . . or give it all up for the man she loves. There are several elements in this book that make it stand out. The romance is always my favorite of course, but I also appreciated the focus on all types of relationship dynamics- family, friends, and co-workers. Melody's semi-estranged mother, her two well-meaning best friends, and Justin's sister and her husband all play important roles in the story. It was interesting to see the details involved in the food industry, and all the creativity and planning it takes to open a new restaurant. The descriptions of the food and desserts are divine, and almost convinces me that I need to become a foodie ;) I really enjoyed the chemistry between Melody and Justin, especially the adventure they go on in the mountains, but throughout the book their relationship is overshadowed by the temporary nature of their time together and each of their self-doubts in romance. There is a strong theme of God's influence in our lives and Melody and Justin both have their faith challenged with the situations they find themselves in. I assumed that there would be a happy ending, but Melody and Justin both go through so much on their way there that at times I was nervous that the book wouldn't end the way I hoped! Recommend to fans of contemporary romance and Christian fiction. 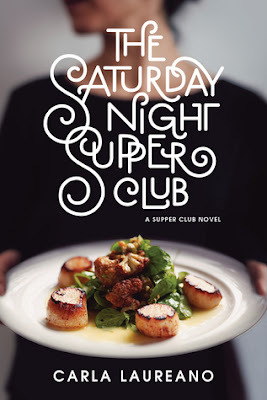 Don't miss the first book in the Supper Club series . . .